Oscar Isaac and Domhnall Gleeson both star in the new movie Ex Machina, but they’re also co-stars in a little movie called Star Wars: The Force Awakens. While promoting the former during a Reddit AMA they also answered a number of Star Wars related questions. As expected, nothing major was revealed beyond what we already know – and there was not a whisper of what role Gleeson plays in the film (Isaac has been revealed as X-wing pilot Poe Dameron), but you’ll find the highlights of what they were able to address enumerated below. How excited were you to find out you were cast in Star Wars? 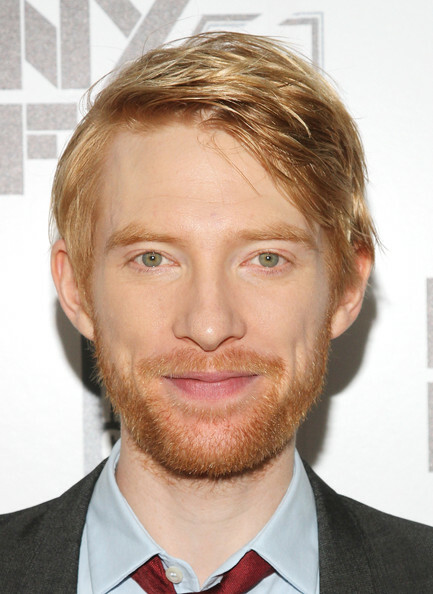 Domhnall Gleeson: I saw him pee a little, it was HILARIOUS. If you could travel in time, what would you change? DG: I’d buy Oscar a nappy just before he got the Star Wars phone call. What was it like filming the X-wing cockpit scenes? OI: The cockpit was on a gimbal that moved around. Made me a little nauseous. But it was f@#%ing awesome. What’s it like going from big movies to smaller movies? Are you sick of talking Star Wars yet? budget movies is amazing because I never thought I’d get to be in either. You have more time and money on one and more scrambling and often higher energy on the other. But the best films mix both. Re SW, it’s fun. The whole thing’s fun. I’m just as excited as everybody else to see the film so I get the questions, but it’s funny cause people must know we’re not really gonna answer them… Right? OI: Very exciting to be part of something so culturally enormous that it’s hard to comprehend. And also a little fun to have it secret and feel the anticipation. Will be relieved though when the cat is finally out of the bag. Going between big and small movies is fine. I try and approach them in the same way. Would you rather fight one Kylo Ren sized BB-8 or 100 BB-8 sized Kylo Rens? DG: Do the Kylo Rens have lightsabers? DG: Hmm. Ok. Let me think about this. Is there a lot of green screen in The Force Awakens? OI: Some but many practical effects. You know I’m in both, right? God! How was it working with J.J. Abrams? What is he like? OI: He is the most positive and enthusiastic director I have worked with. DG: Brilliant. So clever, so passionate. Do you know a faster way to get to December 18th? OI: Yes. Get a DeLorean. You can read the rest of the AMA here.